NOW COMPATIBLE WITH ARDUINO 1.0 - The 'master' branch and all examples work with both Arduino 1.0 and earlier versions. 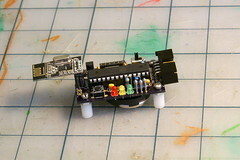 Please open an issue if you find any problems using it with any version of Arduino. 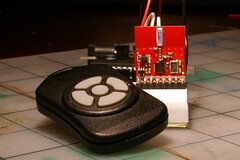 NOW COMPATIBLE WITH MAPLE - RF24 has been tested with the Maple Native, and should work with any Maple board. See the pingpair_maple example. Note that only the pingpair_maple example has been tested on Maple, although the others can certainly be adapted. 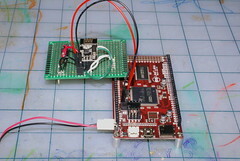 This chip uses the SPI bus, plus two chip control pins. 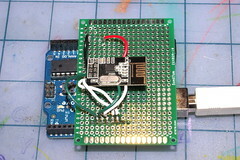 Remember that pin 10 must still remain an output, or the SPI hardware will go into 'slave' mode.